NLP is the practice of harnessing the power of language to break down the mental barriers we unknowingly create for ourselves. 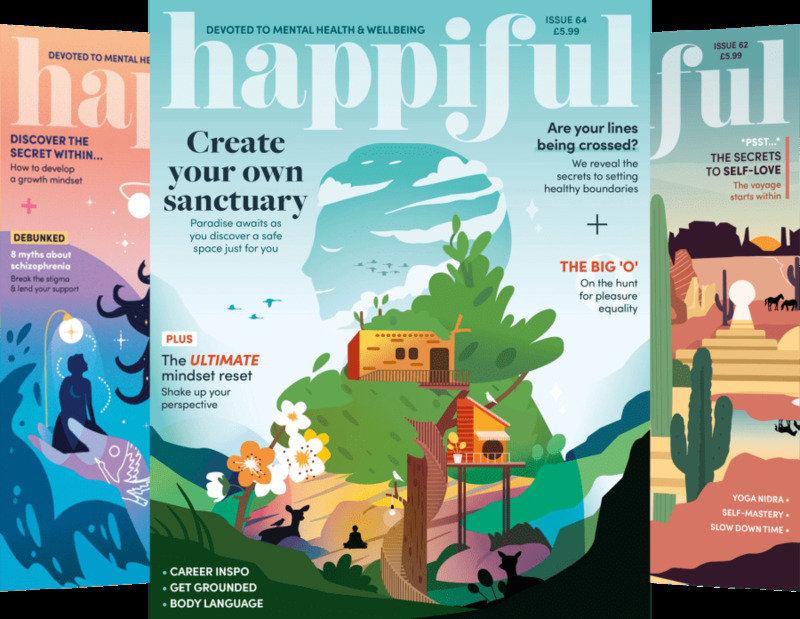 When 'following your dreams' and reaching your full potential can at times seem impossible, a qualified practitioner can use this specialist technique to help guide you to realise that the only thing holding you back in life, is yourself. This is NLP (neuro-linguistic programming). “Neuro” meaning nerve, refers to the way we gather information from the outside world, using our five senses. “Linguistic” is the study of language, referring to the way we make sense of said information by organising it into the structure of language. Finally, “programming” is our way of controlling something. This refers to how we interpret the world and how we control our daily actions, choices and behaviours. 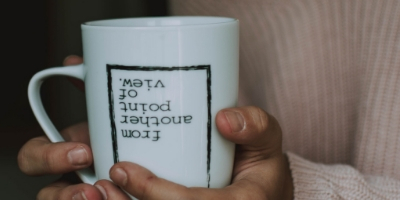 Use our search tool to find an NLP coach who can provide you with the skills you need to start truly changing your world. NLP teaches us how changing the way we perceive the world can lead us to adjust and adapt our behaviours in order to live the life we dream of. An NLP coach will work to encourage the client to move out of their comfort zones: breaking barriers and taking chances only helps to develop a fuller, happier and infinitely more satisfying life. To put it simply, imagine the following situation: two people have been made redundant. Due to a lack of work available in either of their current locations, both have been forced to move out of the area for new opportunities. Person A is initially upset by the unexpected loss but has become accustomed to the idea. They make the most of the free time by searching for a new home and going out to meet a new social circle. The new job is less money, but the area is cheaper so there is money left over for luxuries. After thinking about the situation, person A has managed to turn the potential confidence blow and source of anxiety into a positive, new experience. Person B however, is not doing well. The redundancy was a blow to their self-esteem and feels like the new, lower grade job is a sign of failure. This loss of self-confidence and self-worth has caused distraction and soon enough it is time to make the big move. Only person B was dwelling on the sadness for too long and was forced to make a quick decision on a home much smaller than originally planned. Person B feels lonely and angry at the situation he has been put in. The moral of this story is that, regardless of what happens to a person during his or her life, it is the way they perceive the situation that affects the experience. But is it really that easy, to change your perspective on the world? And what determines how we see our lives? NLP maps (also known as models) are the next component behind the technique. The idea is that each of us has a unique map marking out the journey of our lives. 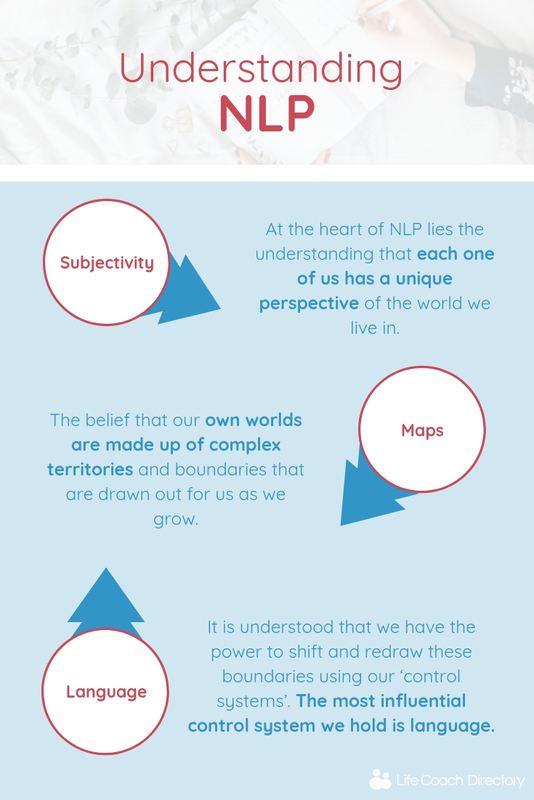 NLP practitioners use the idea of a map to illustrate how we can only view our own representations of the world, not the world itself. Think of it as though we are all wearing goggles that only show certain parts of the world. Even if two people are standing side by side, witnessing the same event, both will come out with a different experience. Whether we are aware of it or not, every event in our lives impacts our future in some way. This may be our beliefs, behaviours, reactions or the decisions we make, but each one will make a mark on our future. This understanding is fundamental to NLP. A practitioner will use NLP to understand how and why clients back themselves into a corner or "get stuck in a rut". Some may feel restricted, as though they lack the skill or worth to reach their goals. While this may not be their choice, it may be a result of something that happened in the past. A harsh rejection, a personal loss or perhaps public embarrassment may have left a mark on their map, preventing them from pushing forward in the future. By altering their use of language, a person can expand the limits of their maps and take the first steps to start the changes they want to make. For example, think of the word ‘failure’ – what does this mean to you? To some, the word may represent disappointment, sadness and trigger the sinking sensation in the stomach. These associations may alter how they will react to a failure - or risk of failure - in the future. However, others may associate the word with new beginnings, a fresh start and another life experience. People communicate feelings in different ways. Most of these feelings are actually communicated unconsciously, be it through tone, volume, pace, facial expressions, body language and words. NLP practitioners are trained to recognise these subtle, unconscious clues so that they can understand how their client is feeling. A practitioner can identify the self-imposed restrictions the clients have put on themselves through unveiling the client’s mental map and working with them to move forward. It’s easy for people to set themselves up for failure if they are constantly thinking negative thoughts. Comments such as, “I’m not good enough” or “other people are better than me” can limit an experience and the chance of accomplishment. It is common for an NLP practitioner to address these negative beliefs by asking a series of questions. The answers can help to reveal the feelings that are causing the limiting beliefs. An NLP coach will then begin to explore and challenge the limitations with the hope of changing the client’s negative thought pattern. While the methods used by professionals will all differ, the standard NLP coaching session will follow the same, basic pattern. Initially, the practitioner will ask what you want to change and the problems you want to overcome. They will pay close attention to what you’re saying and how you say it, tailoring the session to your responses. It is common for the practitioner to give you a number of exercises to practice at home. This will help you get accustomed to the techniques learnt in the NLP coaching session. While the main neurological changes will have occurred during the session, they may take time to settle in. It is normal for the changes to progress over time, as you get back into your daily routine. One of the most important ideas underpinning NLP is that the mind and body are closely connected. When exercising, for example, people will experience positive mental and physical energy. By improving the way we approach and think about the world, we can improve the health and well-being of our bodies. Relationships are based on communication, and problems often arise when people are not communicating or expressing how they really feel. NLP can help a person become more aware of how they communicate. Understanding this can help people accept that others may have different views: one opinion is not wrong or right. With NLP coaching, practitioners hope that by developing empathy skills, a person will find it easier to build strong and long-lasting relationships. NLP is an excellent tool for understanding people and their ways of communication. In terms of business, learning these tips from an NLP coach will help a person improve how they communicate, enhancing their ability to empathise and negotiate with colleagues, employees and managers. If you feel you're ready to seek out an NLP coach, use our advanced search to seek out the perfect coach local to you.